Standard Antenna; Approx-4m Cable and Brackets: For Caravans, Pop top Caravans, Smaller Camper Buses and more. 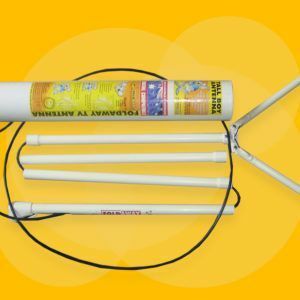 Mast height Approx 1.6 m and coax cable approx 4 meters. 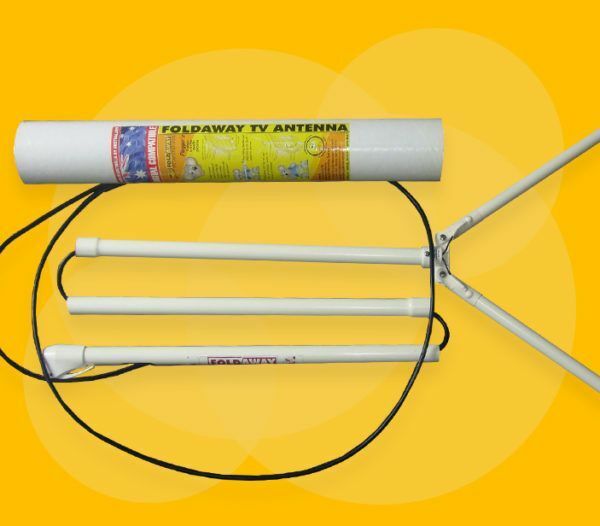 The Fold Away Antenna is All Australian Designed and Built for better TV reception. Created Aussie tough for the Aussie environment, proudly built with our own hands here on Little Mountain in the Sunshine Coast of Australia. The new Fold Away is designed to pick up horizontal and vertical polarized transmission of both analog and digital television signals. For: Caravans, Pop Top Caravans, Hiace-Coaster Motor Homes, Slide on Campers, Trucks, Utes.